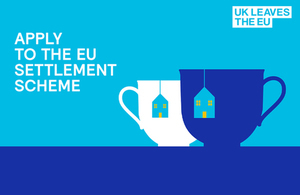 The Home Office has today (Monday 25 March) launched a new nationwide marketing campaign to encourage EU citizens to apply for the EU Settlement Scheme ahead of its full launch on Saturday 30 March. The campaign will be visible at around 6,000 sites across the UK including in every major city. Outdoor advertising at key locations this week will be followed by eye-catching adverts on catch-up TV, radio, social media and online once the scheme is fully up and running on Saturday 30 March. The advertising has been extensively tested with EU citizens and while the content of the campaign will be in English, translated guidance in all EEA languages will be available online. The department has also committed up to £9 million of funding to supporting voluntary and community sector organisations who can assist EU citizens who are vulnerable or at risk in making their application. A report on the public beta test phase will be published after its conclusion on 30 March 2019. Plans are currently being developed for the routine publication of official statistics on the scheme as it progresses.